There are those moments, scenes, and scenarios on video games that you know you will never forget. Those times when you try to tell yourself it’s just a game, but can’t seem to stifle the tears. Moments when you realize just how much you care about the game and the characters in it. We all know these moments, and I’d like to share with you some of mine, and encourage you to tell me yours. These scenes, for me, cannot be filtered into a ‘Top ___” format, so they are just going to be placed in no particular order. Don’t forget, a lot of these are spoilers so I’m not putting the moment in the title, but it can still be made obvious by the video titles and the text. Tread carefully, and grab some tissues. The emotional scene I remember most in the game was the death of Andrew Ryan and the reveal of Fontaine. I don’t know if it was realizing that what you just did was not good at all or realizing that you had been used the entire game by Fontaine, or ‘Atlas”, but the scene in which all that happens and the plot turns is a difficult one. 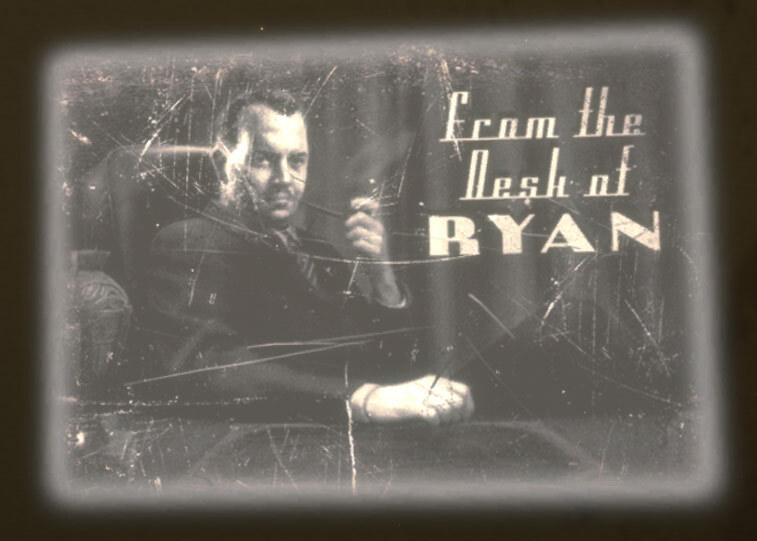 It’s that feeling of thinking one thing (Andrew Ryan is the enemy) and then realizing that you were completely wrong and were just being used to do an evil man’s bidding (Fontaine). I remember feeling mad, angry that I had bothered trusting Atlas so blindly and also sad that I just murdered the only man that could remedy the situation. This moment is definitely an emotional one, if nothing else for the fact that afterwards you want to do nothing except kill Frank Fontaine. The entire Gears of War series had it heart-wrenching moments, but for me none were more emotional that the death of Dominic Santiago. Dom had already been through enough pain in the death of his children and the woman he loved since he was a young boy, and when the scene in Gears of War 3 in which Dom died reared it’s ugly head I couldn’t help but get emotional. 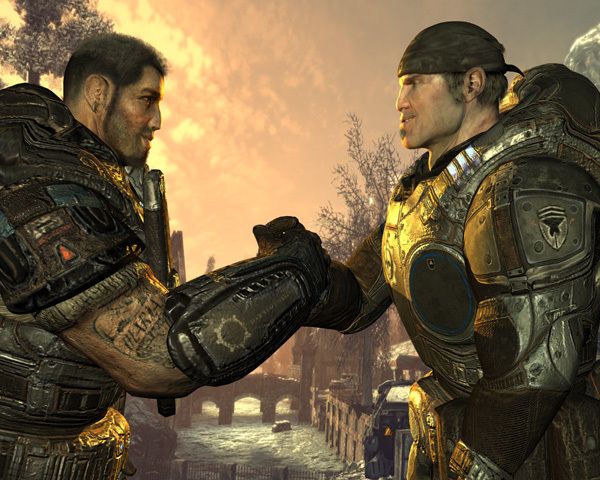 Dom’s struggle throughout the series was tough, I mean this moment only barley out-shadows the moment when he has to kill his own wife in Gears of War 2. This particular scene brings on an almost overwhelming rush of emotions for me, and for that it’s one of the worst to watch out there. You’d have to be pretty damn heartless to not have teared up even a little in this scene. Brothers to the end. It was hard to pick just one scene in this game, or even in this series that made me emotional. I can count at least 6 specific moments in Mass Effect 3 alone that brought me to tears, but the one that sticks out in my mind is the goodbye to my romantic interest, Garrus. Garrus was the peanut butter to my jelly. My Shepard loved him a whole lot, and he loved my Shepard back just as much. Not only is Garrus her best friend, but he is her boyfriend and her shoulder to lean on. Saying goodbye to him at the end of Mass Effect 3 was so hard for me to watch. I remember trying so hard not to cry that I could barley see due to the tears being held up in my eyes. It was mainly the though that I or he could die and that one of us would be left without the other that bothered me. I can relate to that to an extent, and that is why this is one of the most emotional scenes I have ever witnessed. This game started off by confusing me and making me think I may not like the game at all. As it progressed though, I could tell that I was going to be strangely tied to Jackie Estacado through his love for Jenny Romano. The game shows how they met in an orphanage and how they started to care for each other as children and then grow up still caring for each other. Then, Jenny is murdered right in front of Jackie and he is helpless to stop it from happening. That itself was a turning point for me, and one of the most emotional scenes I have ever seen. Right before she dies she says “this is not your fault” and as a player you just cringe knowing what is going to happen next. I suppose what makes this scene hard is that not only does Jenny die, but Jackie realizes he can’t live without her and promptly kills himself. All together it’s a hard scene to lead up to and watch, and makes you understand this this game isn’t called The Darkness only because of the monster. 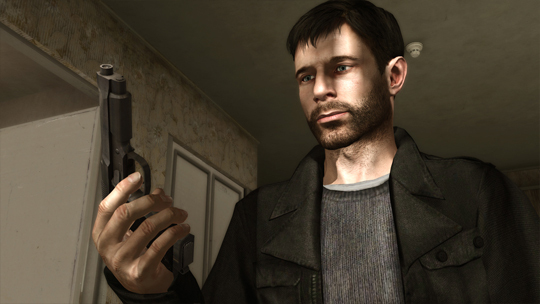 Throughout Heavy Rain you are subjected to differentiated emotions. Sadness, anger, fear, even happiness at points. But one of the most depressing moments of the game was when Ethan Mars’ son Jason is killed by a car. It’s not only that his son dies, and he feels somewhat responsible for letting him out of his sight, but then Ethan’s wife leaves him and their other son is stuck in the middle. It’s a very realistic situation, this stuff happens all the time in the real world. Bringing that into a video game was phenomenal, yet very moving. Ethan stuggles to put the pieces of his life back together, then his other son gets kidnapped by a murderer leaving Ethan, and average man, to solve the case and save his son no matter what it takes. The whole game is brilliant but if you ever play it, be prepared to feel very emotional, and maybe even shed a tear. 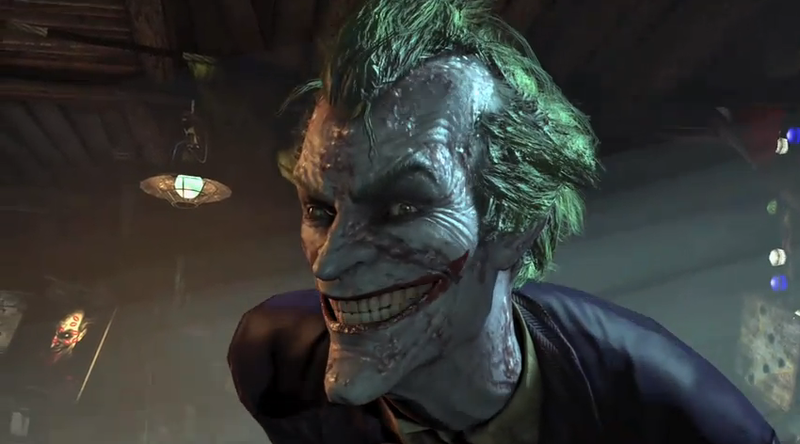 One of the best scenes in either of the Arkham game was also the most emotional, Joker’s death. Now don’t get me wrong, Joker is awful and killed a lot of people, but it’s a game and none of that really happened so in a way you just feel bad. Batman’s arch nemesis is dead. It leaves you with an empty feeling and almost seems like it can’t be real. As Batman walks out of the theater with the dead clown prince in his arms, I almost half expected him to be alive somehow. Batman’s even says that he would have saved him, even though he is a terrible person and that too makes this a tough scene in which you realize both of their true natures. It feels like something is missing and while we should be happy that the master criminal is dead, it’s just hard to accept it and for that this is a truly emotional scene. 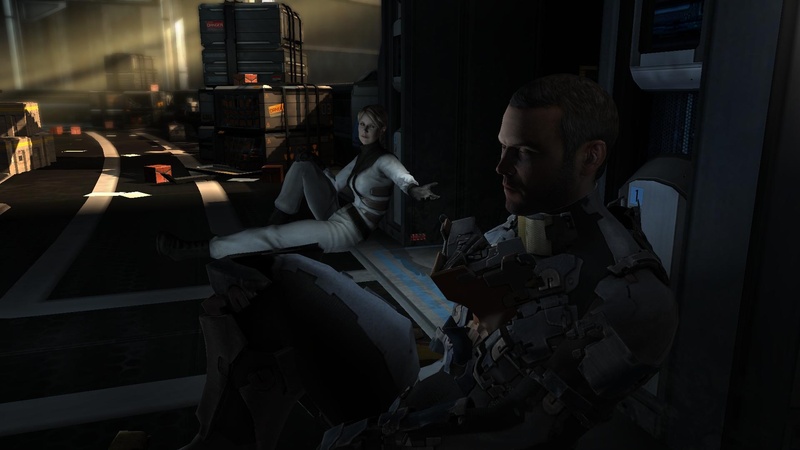 Both Dead Space games had their share of emotional times, but the most emotional scene had to be when Isaac saves Ellie, and leaves himself on the station in Dead Space 2. Him staying is basically the nail in his coffin. It’s highly unlikely that he will live, but he cannot make a choice that could endanger Ellie. He lost Nicole, and he doesn’t want the same to happen to Ellie. This scene is especially sad because you realize just how attached Isaac is to Nicole, how much he loved her and how strongly he wants to hold on to her and make things right. I feel bad for Isaac and everything he has been through, and this scene just makes me feel worse for him. It must be tough to save others and not yourself, but Isaac had the strength to do it, and it was a tough scene to watch. Next Next post: Hey! Listen! Here’s A Website You Should All Check out! I agree with a majority of this but I didn’t really find Dom’s death all that sad. I was expecting it since the second game and all the way up to his final scene, it is kinda like Thane’s death. I was completely expecting them to die, now if they throw a curve ball like making Cole or Baird die then that would of been a tear jerkier for me, kinda like how if I wanted to save the Krogan, I would have to let Mordin die. 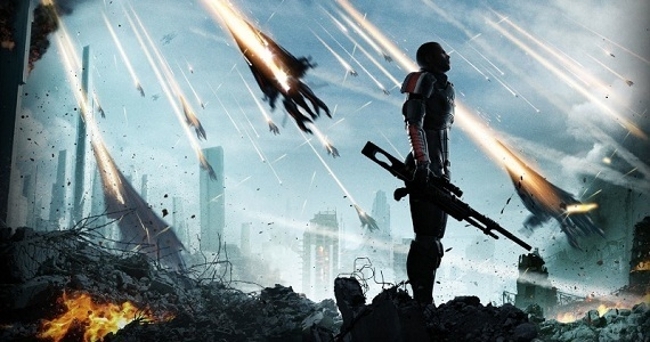 Even now replaying Mass Effect 3, I have a really hard time replaying that mission. Well, luckily for me, I hardly ever see thing coming in games and movies. I never expect something to happen unless they basically say it. So Dom’s death was a surprise up until they actually started with the scene. With Thane, I knew he would die so at first I expected it but I was angry that Kai Lang did it. Then there was that touching moment in the hospital while he dies that made me cry. Mordin’s death was definitely tough though. 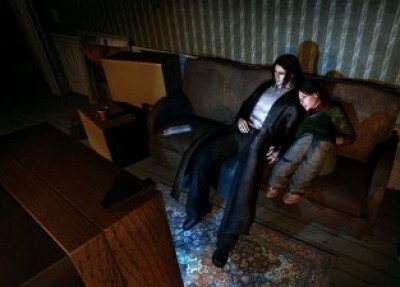 I think Eli’s death from Half-Life 2: Episode 2 is another tear-jerking moment. It was without a doubt an emotional moment because you feel that while Gordon Freeman does not talk, his actions speak more than his words. The reason Gordon Freeman is fighting the Combine is to protect those he still cares about and at first it seems like we succeed. But later that sense of security is taken from us and one of the characters we came to care deeply for is killed by the enemy we were fighting. 5 years later and I still wait for the next Half-Life game just to avenge Eli’s death. I cried a lot during To The Moon. It’s sweet and sad and has a great story. I highly recommend to anyone.